The flat, non-slip, shock-absorbent surface (even when wet) provides better traction and ease of movement for people and horses, thereby reducing the stress related to frequently moving around. The use of rubber flooring significantly reduces the number of falls and helps to eliminate serious injuries. 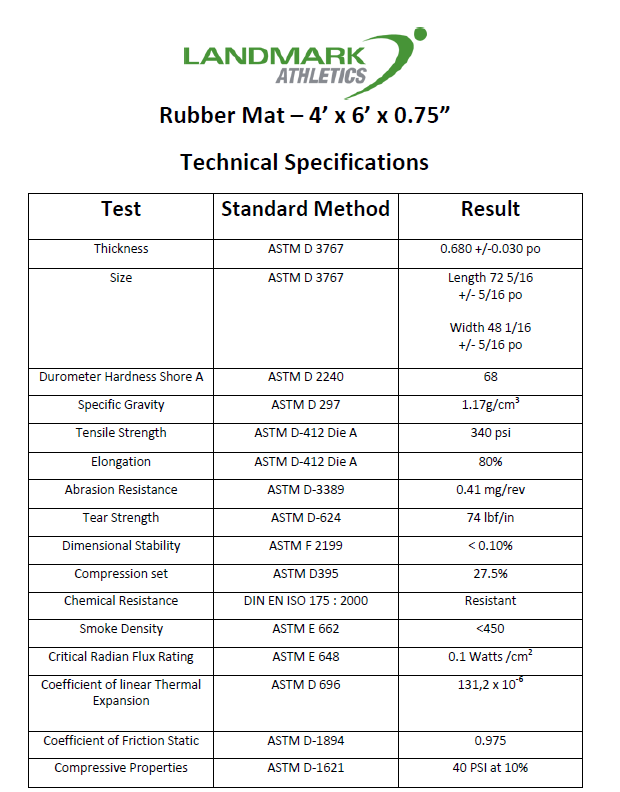 Being non-porous and made of 100% recycled rubber, these rubber mats are easy to clean and disinfect for a healthier environment. Unlike concrete, asphalt, bare earth and wood shavings, they don’t absorb fluids or promote the development of bacteria.